Hidarite is a boy’s story of an incredibly scary time in his childhood. During this time, he was very young and terrified of the dark. In fact, he was so scared that he believed any part of his body that stuck out from his futon would be chopped off by whatever it is that lurks in the darkness. Once, he had to stay for several days at a hospital, and the events that occurred there only serve to confirm the dangers of letting any part of your body stick out from the safety of the covers at night. In fact, these events will haunt him for the rest of his life. This manga is a short oneshot by CLAMP that was originally published in South Summer magazine. 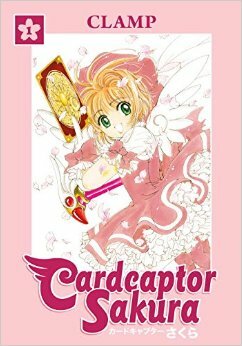 To my knowledge, it has never been officially published anywhere else or translated into English (although there are some quite decent fan translations available online)–seriously, some publisher needs to just take all of CLAMP’s oneshots and stick them in an official English omnibus of some sort. Anyhow, Hidarite is the sort of horror story that would be perfect for a bakemonogatari or a campfire ghost stories session–in one sense, it’s not actually scary at all, but in another, in the right setting it could be quite chilling. The art is classic CLAMP, but somewhat light and ethereal, which I think adds to the mood. I would recommend reading Hidarite all alone in a darkish room late at night for maximum enjoyment.